The love of Bill’s life- Roswitha. 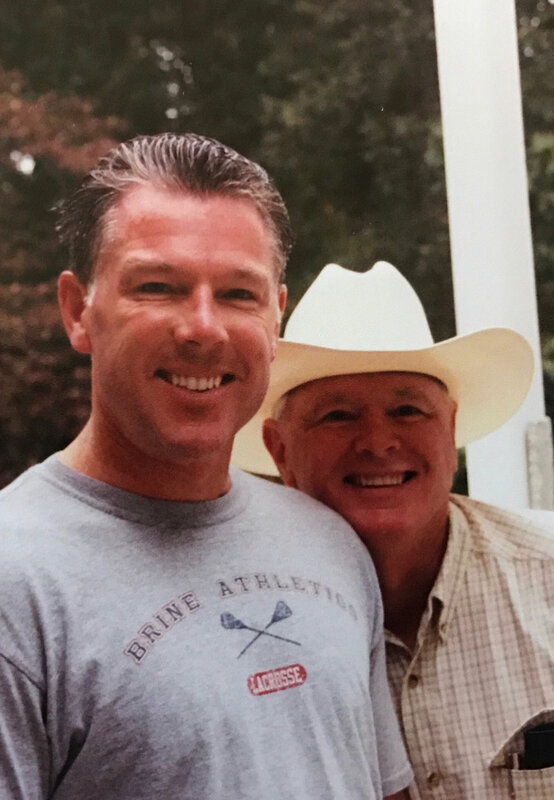 Shoestring founder, Bill Craig, grew up on the opposite end of the country in Aberdeen, Maryland. He jump-started his career by joining the US Marine Corp at age 17, serving abroad in Okinawa, Japan. The discipline and work ethic that is synonymous with military life followed Bill into his future business endeavors. He started out with very little, coming out of the military without money or family. His first job out of the marines was cutting hair at his local barbershop. He cultivated a strong friendship with one of his customers, Bostrom, who believed in Bill and loaned him money to buy an ice cream truck. Bill paid him back quickly, and expanded his fleet to twelve trucks. Bill was determined to discover a better life for himself, and decided the entrepreneurial route presented the most promise. After the ice cream truck, he followed with a taxi company, a pawn shop, a convenience store, and selling crabs on the side of the road, a liquor store, and then real estate development. The liquor store was where he discovered his passion for wine. He invested in estate-grown wines, and built himself a wine cellar. He then pursued the restaurant industry, and opened up two restaurants with his son Shawn. One of these restaurants was a crab deck, where he met Roswitha, who became his business partner, life partner, and wife. Of all his different endeavors, the wine world resonated with Bill- it became his dream to grow grapes and make wine. What followed was a big risk. Bill and Roswitha sold everything, and moved to the other side of the country to start a vineyard in the Santa Ynez Valley. During the planting period, they lived in a tiny trailer. When they first opened for business, they poured wine out of a little tent. In 2005, the horse barn was converted into the tasting room, where the focus is still on estate-grown varietals, barrel-aged reds, and whites fermented in stainless steel. Bill started life on a shoestring- the rest is history. as they did- from grapes to glass. Happy days with Bill and his son Shawn. 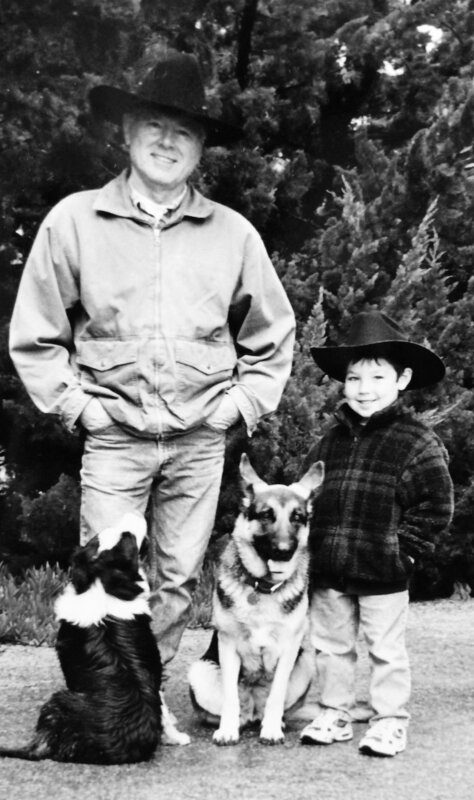 Bill and his grandson, Patrick, in the early days of the winery.